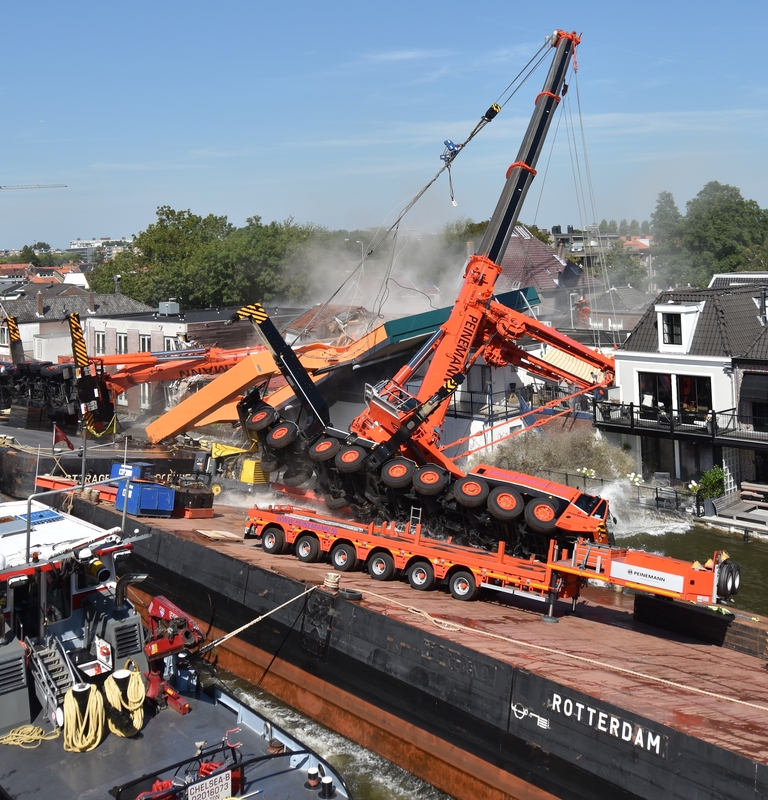 The Dutch Safety Board has recently published the accident investigation reports regarding the twin crane accident that occured in Alphen aan den Rijn in 2015. Orca offshore, together with Saetech, performed the engineering assessment and technical root cause analysis. The accident involved a bridge lift with two telescopic cranes from two barges. The technical root cause of the accident appeared to be a lack of stability of the barges. A part of the low stability was caused by a unaccounted effect which reduced the stability to a critical and dangourous value. This unaccounted stability effect is described in detail in the Safety board report and can also be found in a white paper and technical note published in English on the Orca Offshore website.